Low-profile slimline design. Saves storage space. Tempered glass cover lets you see what’s inside. Doubles as a buffet server when entertaining. Easy to clean. Fully immersible with heat control removed. 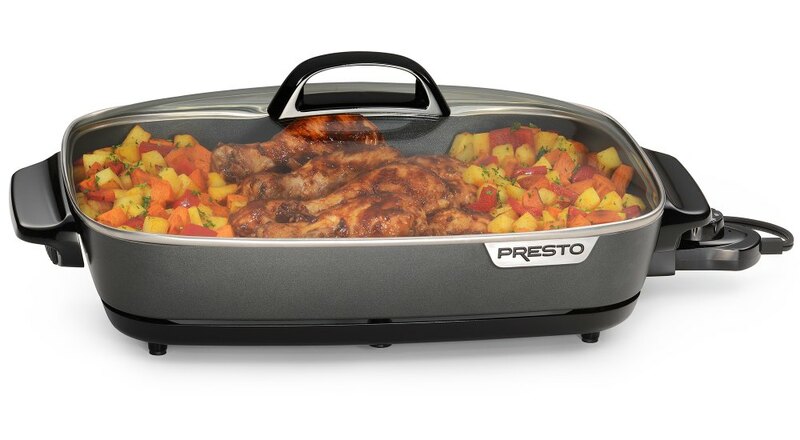 Deluxe nonstick surface, inside and out. Low profile, slimline design makes skillet extra attractive when using as a buffet server. Tempered glass cover lets you see what’s inside. Great for use as a buffet server.